Crafted for the girls with wild hearts. The Monica drop earrings take on a pear silhouette decorated in Tibetan silver cap and turquoise beads, with a turquoise stone pendant hanging centre stage. Wear with an upswept do and plenty of jewels. 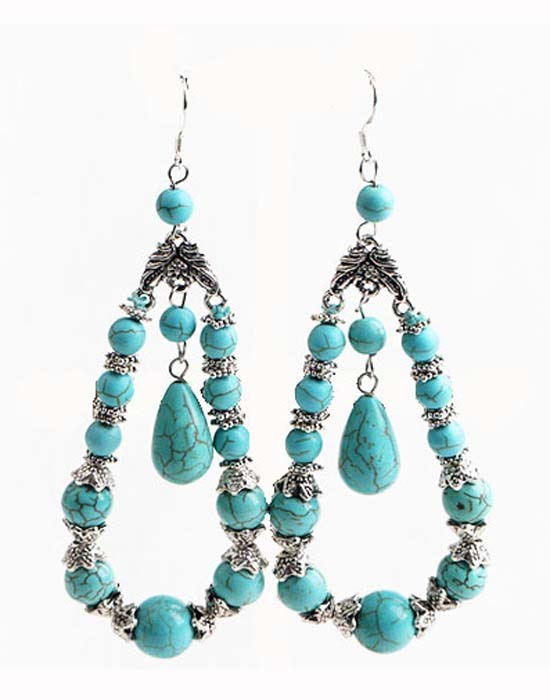 Order these beautiful turquoise earrings now from Australia's fastest growing online jewellery store.